After going through the hustle and bustle of everyday life, spending hours working and frying our brains, all we expect is to go home and just chill. Breathe in some fresh air, spend some time in the green (with no bugs) and let out all the stress of the whole day. Now, home is alright but what makes the homecoming better is a cup of coffee and some relaxed time in the balcony. 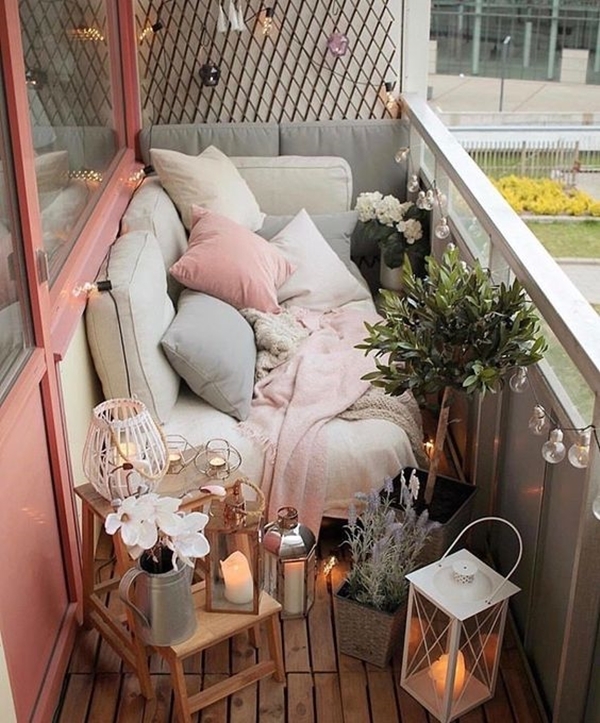 Especially if you live in an apartment, the balcony is the only thing that will give you that chilly breeze and let you loose. 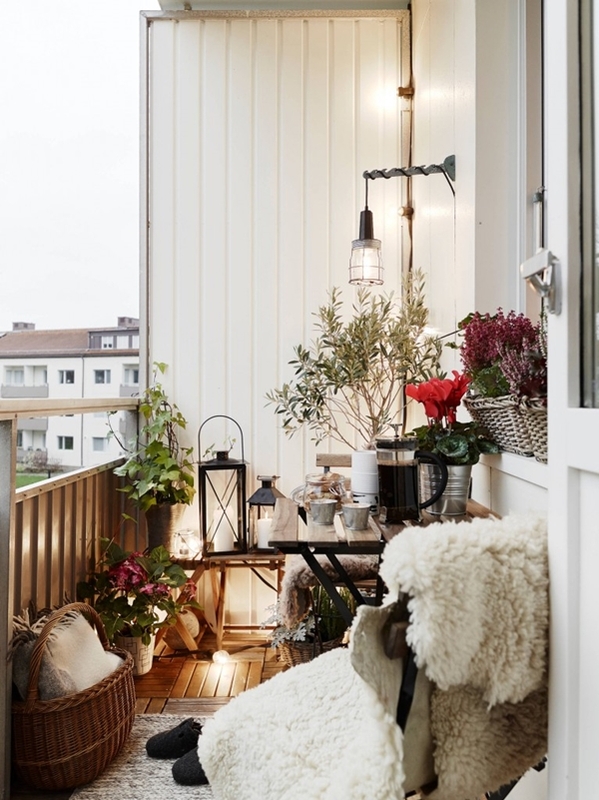 So, give that corner of fresh air a different, a better look with these Genius Small Balcony Makeover Inspirations to Spruce Up your Spaces. A large space gives you a lot of options to explore. However, when you are stuck with a small space, it takes a lot of thinking to do before you can start on working with its makeover. But don’t worry; with proper planning and creative mind, you can definitely convert your small space into a lovely corner. Any space needs to be measured before you can start working on it. You don’t wanna stuff too big patio furniture in a too small balcony and then cry over it. So make sure you have the correct idea of how big your balcony is and then make the necessary plans. It would be great to plan before you bring in all things for the balcony. For instance, you must know what kind of furniture will fit inside your balcony, leaving enough space for you to walk around it a little bit. Also, plan about what kind of planters you will need. Speaking of planters, make sure you bring in some of these aromatic plants. 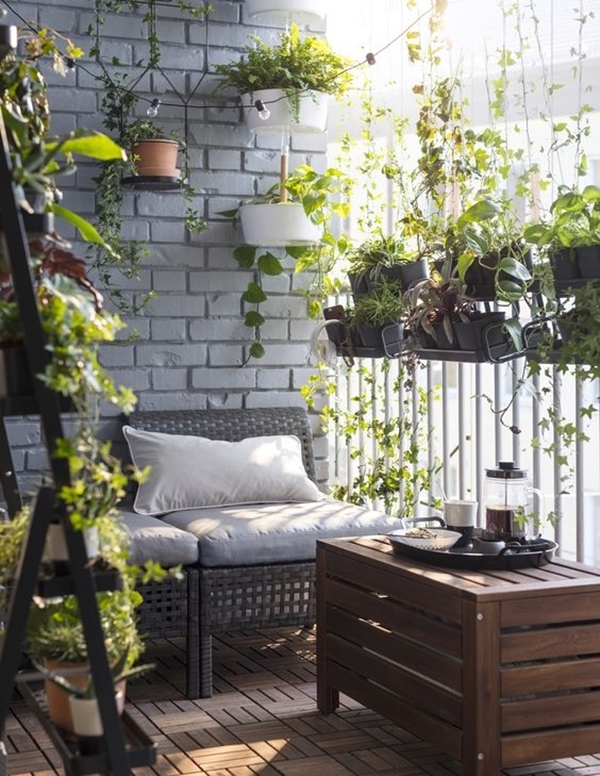 Budget is something that you must make before you start bringing in things for your balcony. 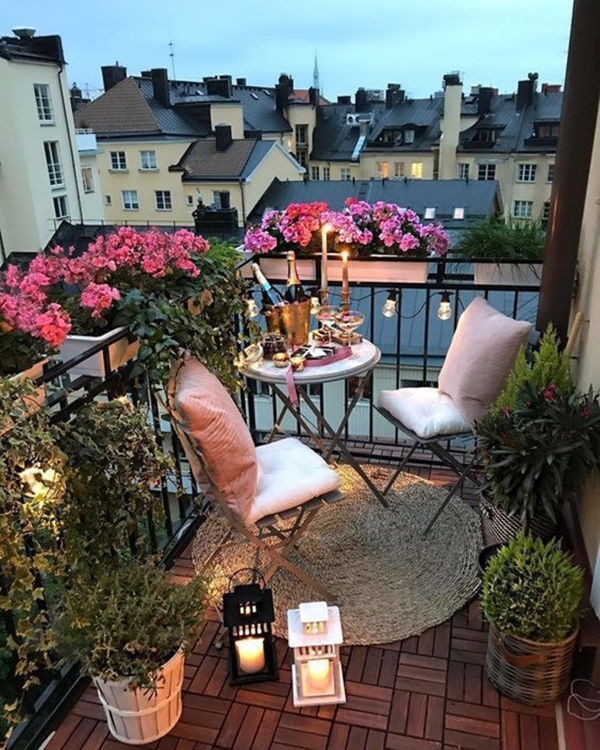 Or you can either run into two scenarios, a) – where you are left with a lovely balcony but empty pockets or b) – where you have to stop working on your balcony because, oops, you have run out of the budget. Either of these scenarios is unwelcome, so make sure you have a planned budget before you jump start your plans. And don’t be disappointed if you have a very low budget. Things can shine brilliantly even in low budgets. There are so many options one can go for when it comes to the balcony. Decide the theme with which you would like to go on. 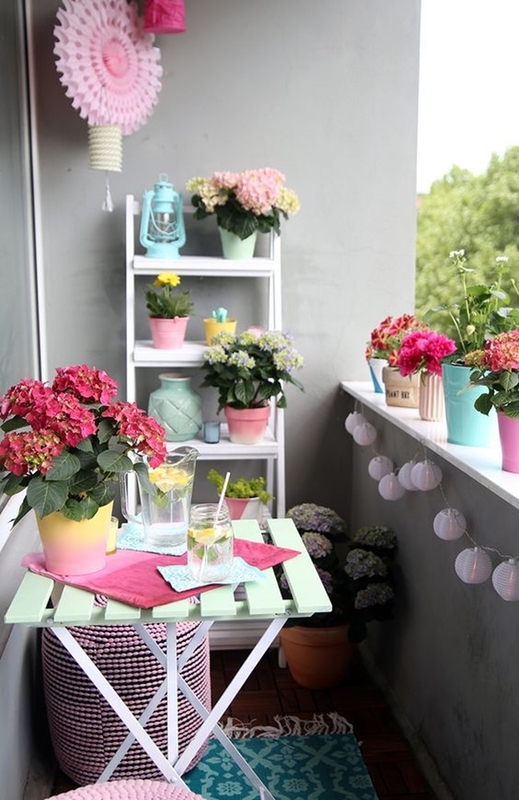 Bring in some antique pieces like pots and vases and fill them up with blossoms and give your balcony a vintage look. 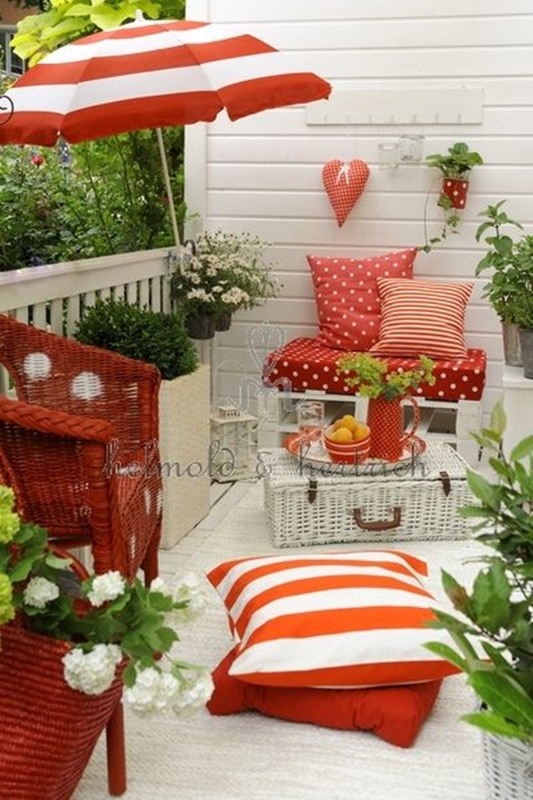 Or you can pretty it up with wood, terracotta and wicker materials and give it a natural décor. Looking for some lovely farmhouse decoration ideas? Your search ends here. We know patio furniture. 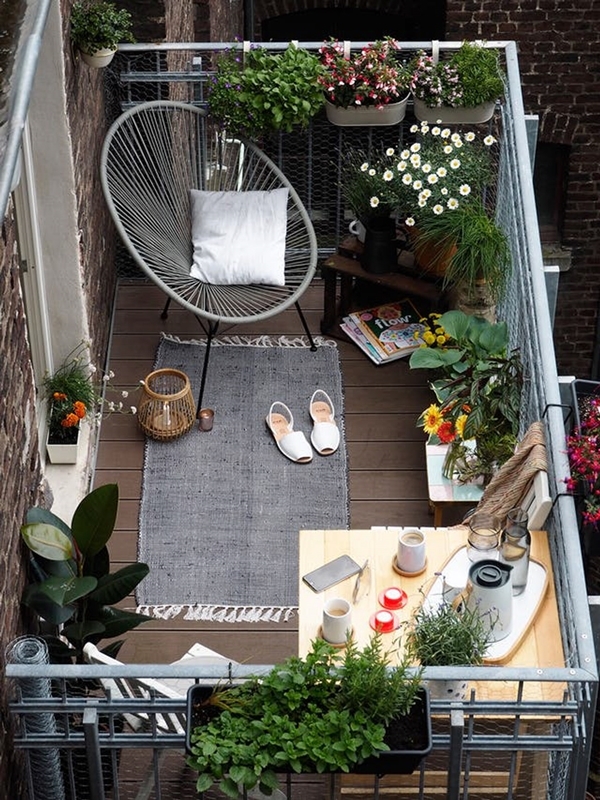 From chairs to chaise and from bench to sofa, almost anything can be stuffed inside your balcony. The size of the furniture will, of course, depend upon your balcony and your vision. 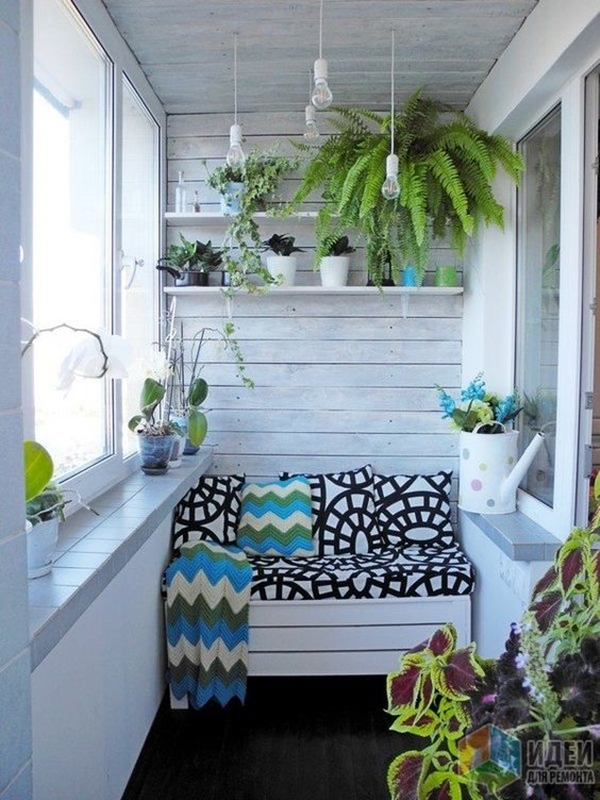 You can cover up the whole nook of the balcony with furniture or you can leave enough space to walk around a little. You can even go ahead and opt for a hammock which will be a fun thing to have in a balcony for sure. Give a touch of burlap to the balcony with some burlap decor items that will surely surprise you. A normal balcony will look extraordinary one when you change the flooring. You can try wooden tiles or fake grass carpet. 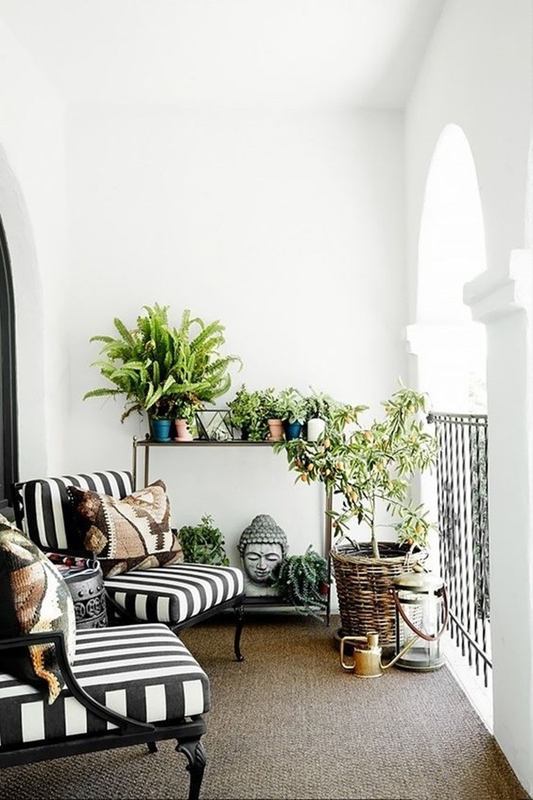 Or you can add some soft touches of rugs and pillows to the balcony. Go with a single colour or just make use of different shades to make the space look more cheery. 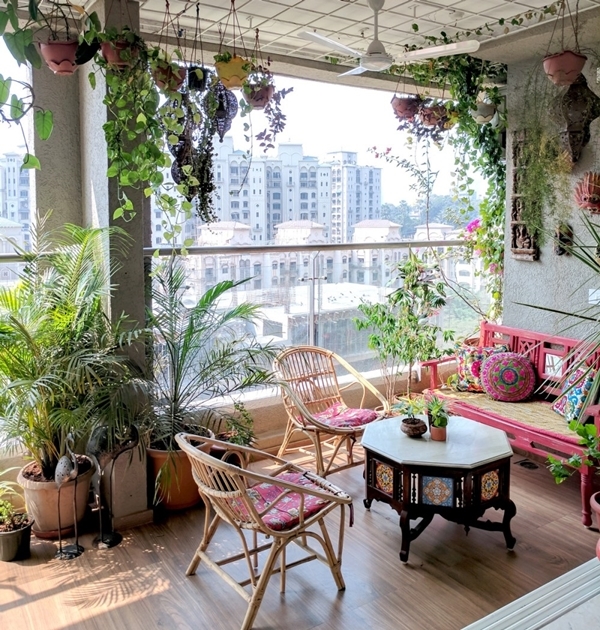 Furnishings with varying colours or different flowers will just add that touch of colour to the balcony that will soothe your eyes. Speak of a balcony and no mention of planters? That’s impossible. Now, planters are of different types, available in all kinds of shapes and sizes. So it all is just up to you. You wanna save some space? You can go ahead and opt for wall planters or attach the planters to the railing. Hanging planters are another great option that you can try. When it comes to lights, your options are endless. 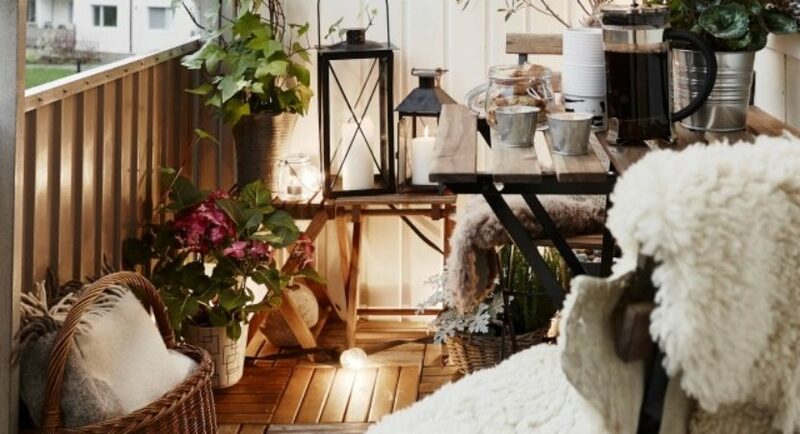 Give it a nice romantic feel with lanterns and candles or light up your balcony with fairy lights or tiki torches. And if you are planning to make one rock garden in there, these rock painting ideas will come in handy. For décor items, you can always turn to all things DIY. 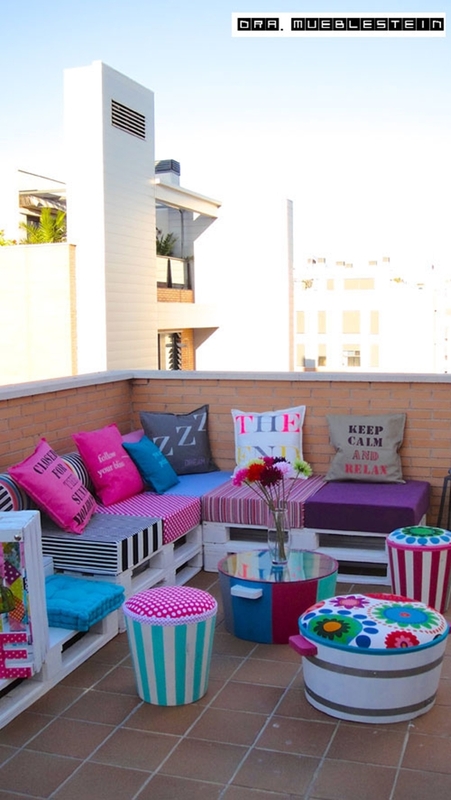 You can turn some crates into a seating area with pillows littered on them. 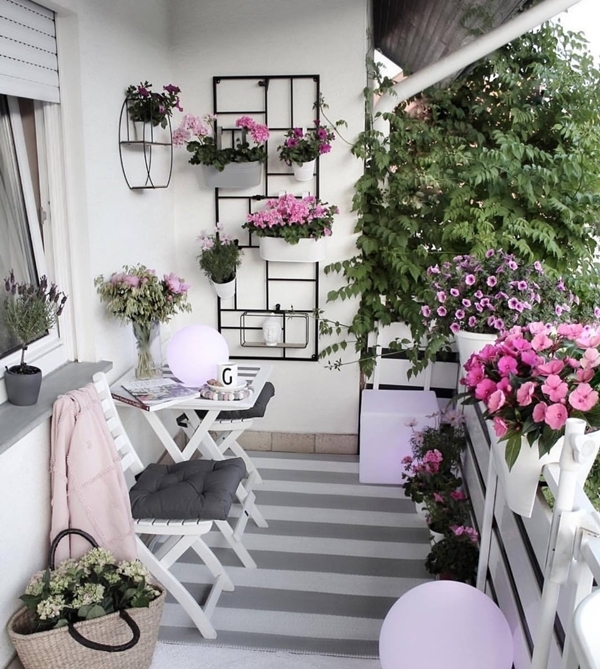 Or convert an old ladder into a décor item for your balcony, but after you splash some paint on it. Bamboo plantings will also make a great addition to your balcony if you have enough space. If nothing then just stuff a cushion in your too small balcony to curl up with a nice book and a cup of hot chocolate. See, how smartly you can change the whole dimension of the space? 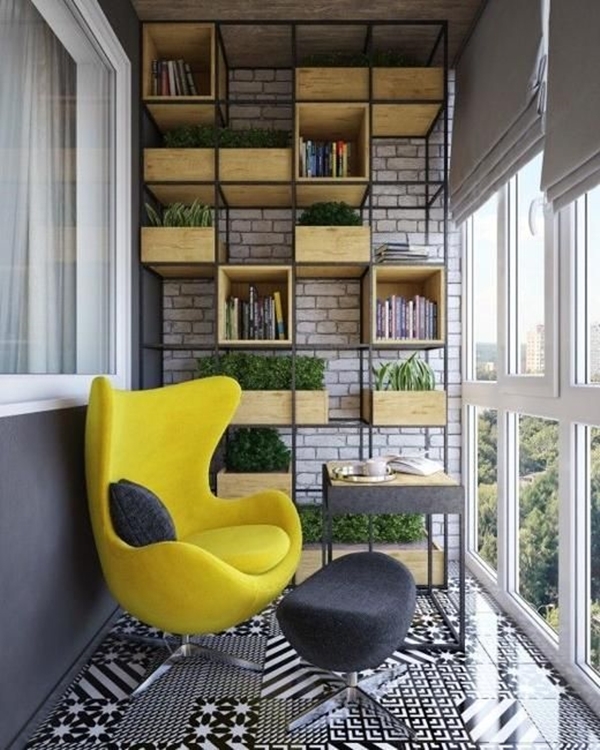 A little creativity here, a little smartness there and you can make any space look opulent regardless of this size. And that’s the beauty of décor ideas.